Blog — Social Cultural & Co.
Stock photography can be boring but it doesn’t have to be! Add some culture to your walls or your blog posts with photography from around the world! Tired of using influencer marketing and seeing little to return on investment? Read the blog post to find out more. Influencer Marketing is changing! Will you? Stop going with the crowd and change how your boutique hotel + business uses influencer marketing for your business. As always, click on the blog to find out more! Social Changes is on the rise and influencer marketing has a huge part in it. Want to know how it can help you achieve your brand + business development goals? Click on the blog to find out! Business + brand development and influencer marketing can work like a gem if done correctly, click on the blog to find out more on how The House of Social Cultural & Co sees influencer marketing. An Introduction into Influencer Marketing. Ever wondered what is influencer marketing and why it is beneficial? Well we did to thats why we wrote this short blog post to help you out. Are you questioning the purpose behind social media? 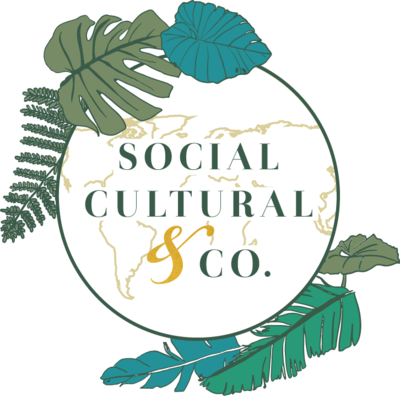 Welcome to the House of Social Cultural & Co.
After a rebrand using our own vision, purpose, identity-we are proud to announce the new House of Social Cultural & Co! A creative marketing house that specializes in content strategy, marketing, community and cultural initiatives and design. Take a look around our website and visit our portfolio to learn more and schedule a time with us. In this blog post, I will further dive in to: The Importance of establishing a culture + community for the sustainable boutique industry and explain how and why it serves your bottom line plus your brand image. creating engagement with your vision, purpose and identity. Creating an effective social media strategy can be an either pleasant experience or a negative one. I found that the reason why people are not succeeding with translating their business onto social media is because that their is a lack of definite vision, purpose and identity behind their execution strategy. I found that when you know what your vision, purpose and your identity are in the marketplace (and within yourself) the path of translating who you are + what you do + how you serve onto social media comes with ease and grace. A Case study for Confidently Healthy.